Manicures are one of life’s small pleasures: for some people it’s an integral part of their beauty routine, while others reserve it for very special occasions. So what kind of manicures are available and how often should you have your nails done? Here's what you should know. There’s nothing prettier than a mani/ pedi – it’s the ultimate in pampering. But you should make sure you aren’t exposing yourself to unnecessary risks. Here’s how to ensure that your manicure is as healthy as it is beautiful. Pedicures are great for keeping your feet healthy and giving yourself a luxurious treat, but sometimes you don't have the time or money to go to a spa to get one done. An at-home pedi can be a lot of fun with these steps! Nails provide an external sign of health: weak, brittle nails often signal a nutritional deficiency. Ignore them and you could end up with painful ingrown nails or a fungal infection. Follow these tips to ensure they're healthy. The colour of your nails says a lot about your lifestyle and your health. Are your nails yellow? Here are the causes—and solutions—to an embarrassing problem. Manicures and pedicures look great, but you need to ensure you're only taking the polish and nails when you go. Here's how. 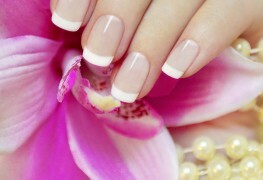 Getting your nails done is refreshing, relaxing, and can make you feel more beautiful and confident. 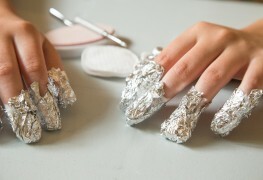 We'll teach you how to do it yourself so that you can avoid pricey trips to the salon and put your best foot forward. 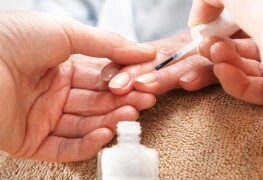 Great tips to care for nails at home. Many women — as well as men — feel more attractive and better groomed with manicured hands. Just follow these tried-and-true all-natural nail care methods. Home manicures and pedicures can be relaxing and economical. Here are the manicure set essentials you'll need to give your nails the spa treatment at home. Who doesn't want beautiful, strong nails? Nails are an integral aspect of both our appearance and health, and there are several habits you can adopt to take good care of them. Gel nail polish makes for a fabulous manicure, but removing it? Not so much. These tips will help you remove gel nail polish as quickly and safely as possible. Before dropping hundreds of dollars a year at the salon for the perfect mani, read these tips to find out how to master the art of gel nail polish at home. You feel like spoiling yourself with some fancy nails but don’t know where to find manicure services? Here are a few tips to show you all the options. You’re looking for a new career? 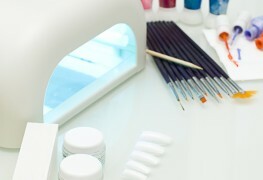 If you love esthetics and cosmetics, why not consider training to become a manicurist? Here are some of the options available. Don’t attempt a home nail spa if you don’t have all the right equipment for a manicure. Things could really get messy if you don’t have the best tools on hand. Having acrylic nails done at the salon can give your hands an elegant look, but if you want it to be done safely there are a few things you should know.